A new study from the Cornell Food and Brand Lab and the Getulio Vargas Foundation, shows that the top causes of food waste in such homes include buying too much, preparing in abundance, unwillingness to consume leftovers, and improper food storage. 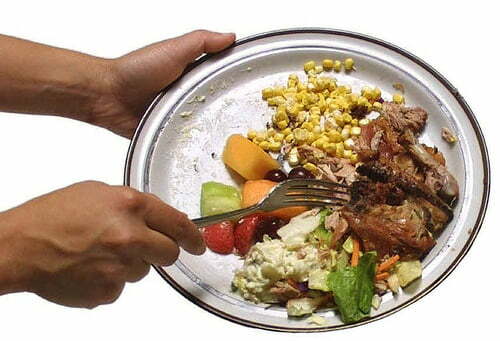 Food wasted means money wasted, which can be an expensive problem especially in homes with financial constraints. A new study from the Cornell Food and Brand Lab and the Getulio Vargas Foundation, shows that the top causes of food waste in such homes include buying too much, preparing in abundance, unwillingness to consume leftovers, and improper food storage. “Fortunately most of the factors that lead to food waste can be easily remedied by simple changes in food buying, preparing, and storing,” said the study’s lead author Gustavo Porpino, Ph.D. candidate at the Getulio Vargas Foundation and visiting scholar at the Cornell Food and Brand Lab. For the study, in-home interviews were conducted with the mothers of twenty lower-middle class families from two suburbs of Sao Paulo, Brazil to collect information about each family’s shopping, cooking, and disposal practices. Each family was also observed and photographed preparing, eating and disposing of food. 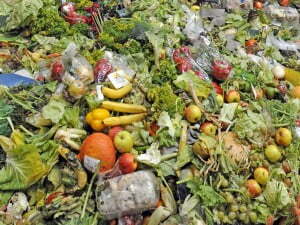 Based on interviews and in-home observations, Porpino and co-authors Juracy Gomes Parente, of the Getulio Vargas Foundation, and Brian Wansink, Director of the Food and Brand Lab, determined that the practice that resulted in the most food waste was simply buying too much food, followed by preparing food in abundance. Leaving foods on dishes after meals or not saving leftovers, and decaying of prepared foods after long or inappropriate storage were also significant factors that resulted in disposal of foods. Furthermore, the researchers found that strategies that are intended to save money such as buying in bulk and shopping monthly – rather than more frequently – and cooking from scratch, actually contributed to the generation of food waste and ultimately did not result in savings. “Teaching home cooks efficient meal and shopping planning strategies and proper storage techniques can have a significant impact on reducing aste and saving money,” said Porpino.